– Mural on the Olhynska Street, 3 – created in 2014 by the French artist Julien Malland, known under the pseudonym Seth. Street art is placed on the switchboard. 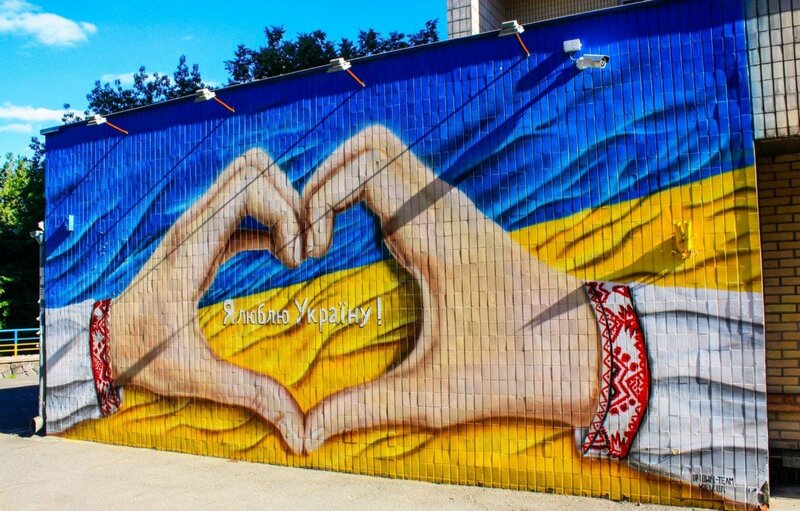 Inspired by the events taking place in Ukraine, the author created a work with patriotic motives. 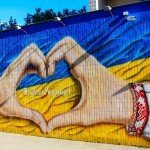 So, in the picture depicts two girls in yellow and blue, connected thread, which is transformed into the Ukrainian coat of arms. 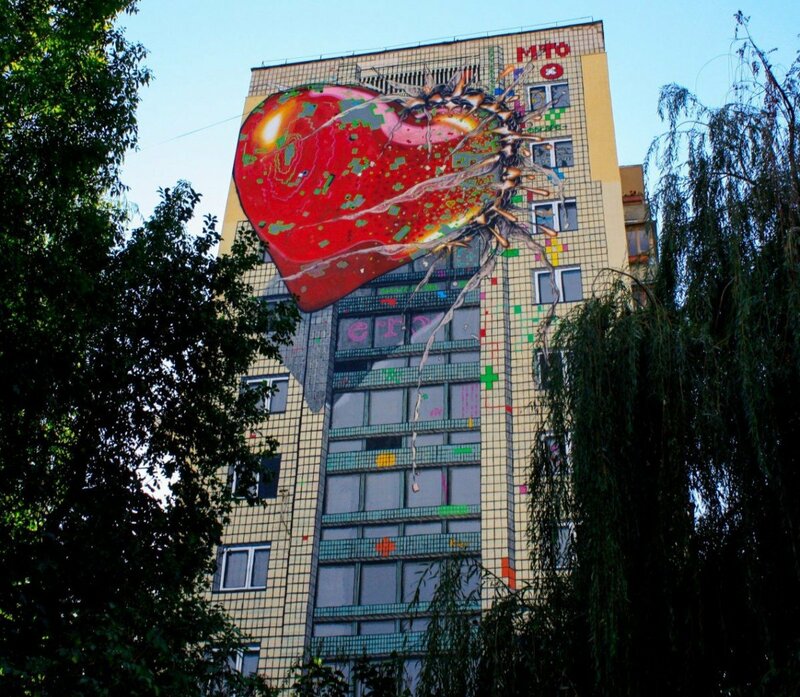 – Mural on the Mechnykov Street, 18-a – was created in 2016 within the framework of the art project “Art United Us” by the French artist known under the pseudonym of the MTO. 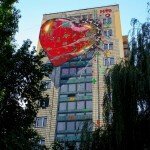 The work called “Deceptive Love” demonstrates Russia’s love to Ukraine, reflecting the reality of today’s relations. The picture depicts a huge heart slamming into the house. In addition, on absolutely smooth wall of the house, the artist skillfully reproduced the façade with tiles, balconies and windows. 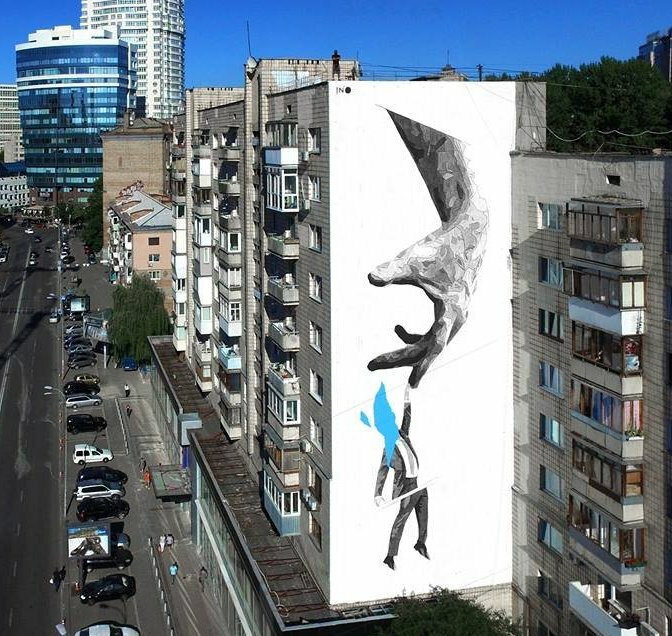 – Mural on the Mechnykov Street, 18 – created in 2016 by the artist from Greece under the pseudonym of INO within the framework of the art project “Art United Us”. 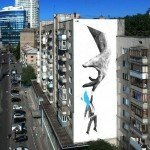 Mural under the name “Entrepreneur” is on the wall of a dwelling house and represents a monochrome black and white picture with interspersed blue. In the picture is depicted a huge hand, the finger of which is trying to be grabbed by a man in a business suit with a blue tie.